28ct. 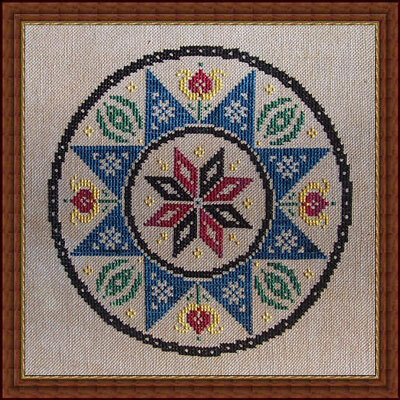 'Mello' Lugana (stitched 2 over 2) from Picture This Plus. Stitched with Carrie's Creation Hand-dyed floss 'Masquerade' and 'Autumn'. 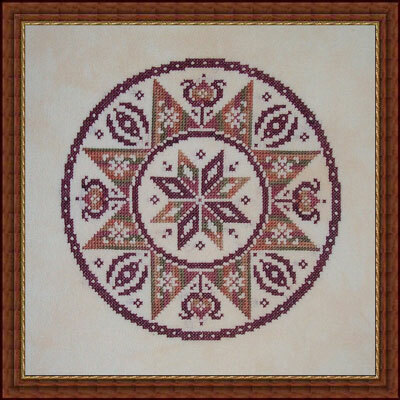 Stitch count is 93 w x 93 h.
'Abundance' in traditional colors stitched on 'Ale' cashel linen with Carrie's Creation Hand-dyed floss.